The comprehensive review of Safety was undertaken at the meeting. The Minister emphasised on according top most priority to Safety. 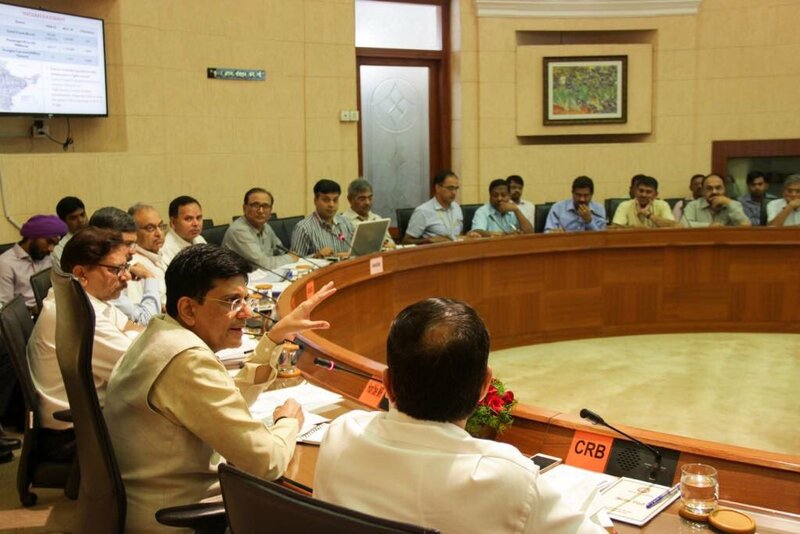 Minister of Railways and Coal, Shri Piyush Goyal today held a marathon meeting with members of full Railway Board & Safety Directorate of Railway Board to comprehensively review Safety measures for train operations. A detailed presentation on Safety was made at the meeting. There was threadbare discussion on the subject and the root cause of repeated cases of train accidents in recent past was thoroughly analysed. In the meeting, the Minister emphasised that the safety is paramount and there cannot & should not be any compromise on this front.